Linux virtual machines (VMs) in Azure are usually managed from the command line using a secure shell (SSH) connection. 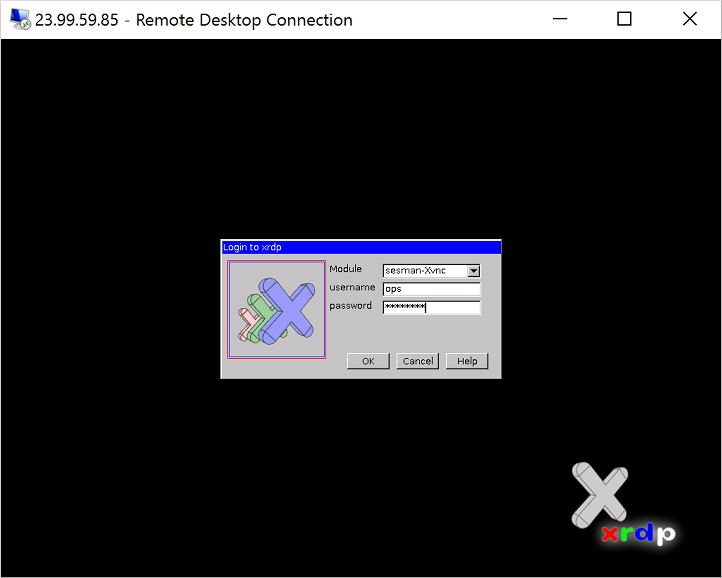 When new to Linux, or for quick troubleshooting scenarios, the use of remote desktop may be easier. 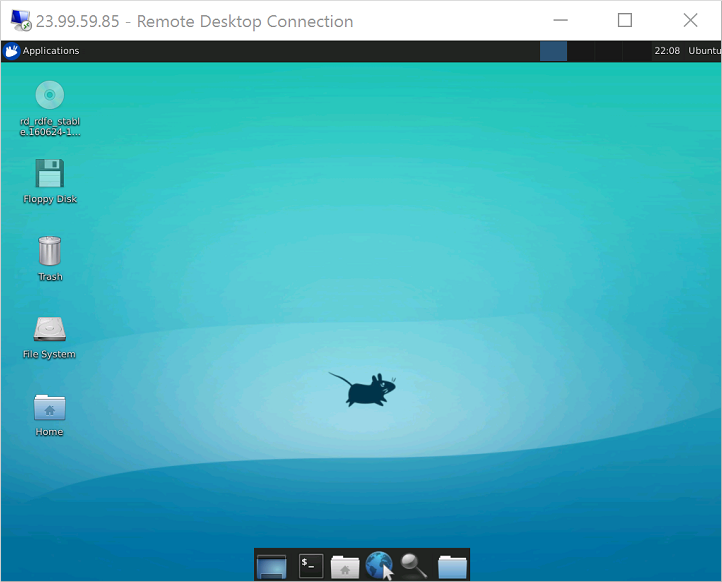 This article details how to install and configure a desktop environment (xfce) and remote desktop (xrdp) for your Linux VM using the Resource Manager deployment model. Most Linux VMs in Azure do not have a desktop environment installed by default. Linux VMs are commonly managed using SSH connections rather than a desktop environment. There are various desktop environments in Linux that you can choose. Depending on your choice of desktop environment, it may consume one to 2 GB of disk space, and take 5 to 10 minutes to install and configure all the required packages. The following example installs the lightweight xfce4 desktop environment on an Ubuntu 16.04 LTS VM. Commands for other distributions vary slightly (use yum to install on Red Hat Enterprise Linux and configure appropriate selinux rules, or use zypper to install on SUSE, for example). If you are using Windows and need more information on using SSH, see How to use SSH keys with Windows. Specifying a password does not update your SSHD configuration to permit password logins if it currently does not. From a security perspective, you may wish to connect to your VM with an SSH tunnel using key-based authentication and then connect to xrdp. If so, skip the following step on creating a network security group rule to allow remote desktop traffic. To allow Remote Desktop traffic to reach your Linux VM, a network security group rule needs to be created that allows TCP on port 3389 to reach your VM. For more information about network security group rules, see What is a network security group? You can also use the Azure portal to create a network security group rule. If your local RDP client uses network level authentication (NLA), you may need to disable that connection setting. XRDP does not currently support NLA. You can also look at alternative RDP solutions that do support NLA, such as FreeRDP. Other Linux distributions such as Red Hat Enterprise Linux and SUSE may have different ways to restart services and alternate log file locations to review. If you do not receive any response in your remote desktop client and do not see any events in the system log, this behavior indicates that remote desktop traffic cannot reach the VM. Review your network security group rules to ensure that you have a rule to permit TCP on port 3389. For more information, see Troubleshoot application connectivity issues. For more information about creating and using SSH keys with Linux VMs, see Create SSH keys for Linux VMs in Azure. For information on using SSH from Windows, see How to use SSH keys with Windows.